2012: The first website for this customer was made 2007 - 2008. Over five years later it was time to create a new site - with a new look, completely in CMS (Drupal) and with upgraded information about recent projects. We made the website in such a way that the client can update all on his own. We also included some modules linking with social media, like a Twitter application. The website is in English. Check the website. 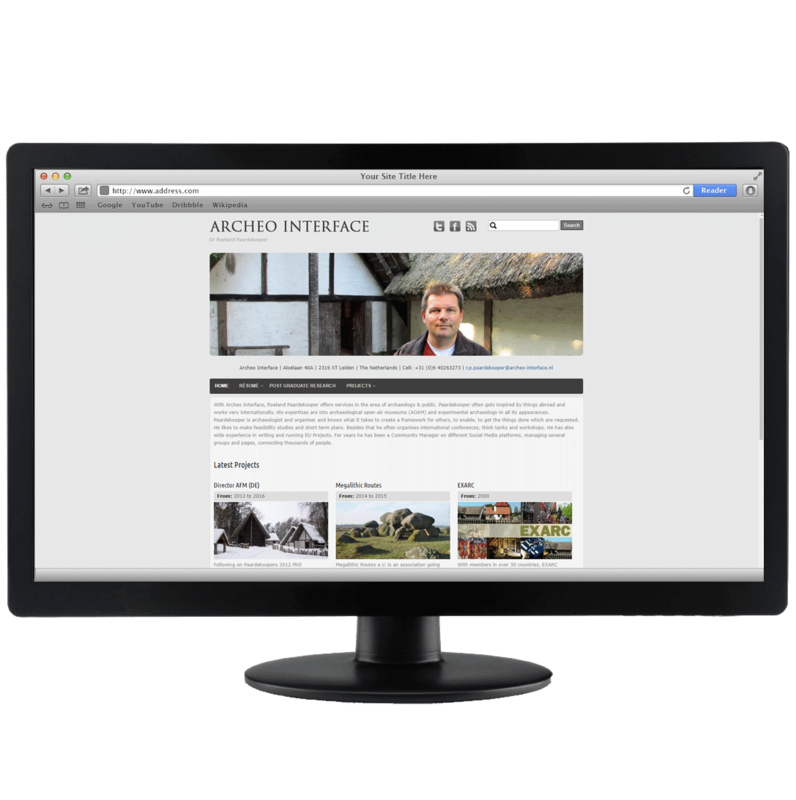 With this website, we focused on the projects done by Archeo Interface. The extended database with Bibliography and Archaeological Open-Air Museums was moved to EXARC in 2011. 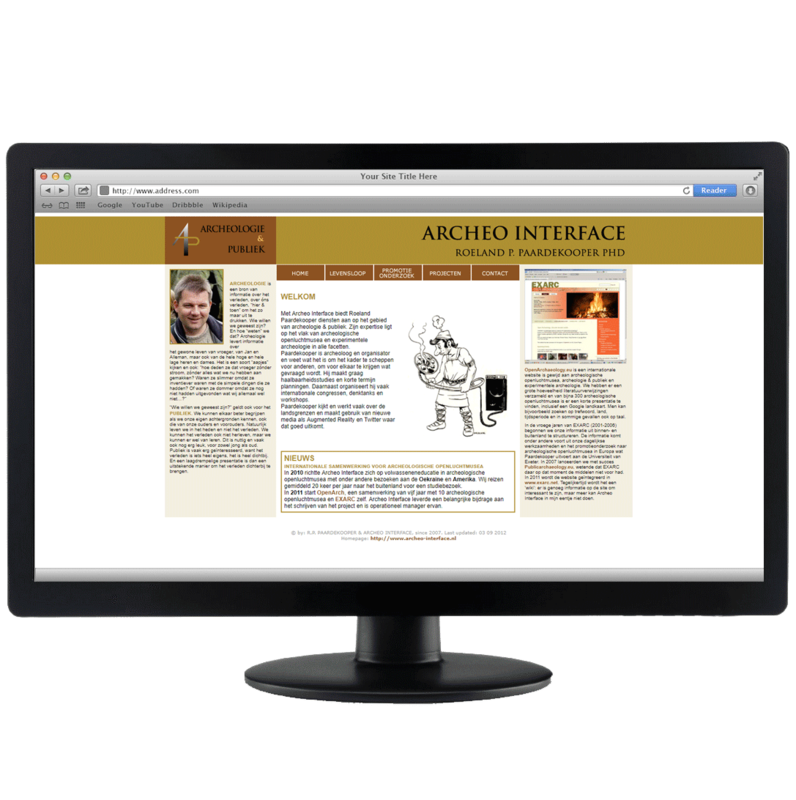 2007 - present: over the years Mohini Visions has developed several PowerPoint presentations for Archeo Interface, all following the style of the website. These presentations were used at different conferences, lectures at universities and workshops. 2007: Report "SPNF". The design of this report (size A4, full colour, 31 pages, circulation 10) needed to underline the message: a rescue plan for an initiative with many possibilities for development. The design was also used to create coherence between the very different chapters and points of view. The colours and design of the report were derived from those used in the organisation. 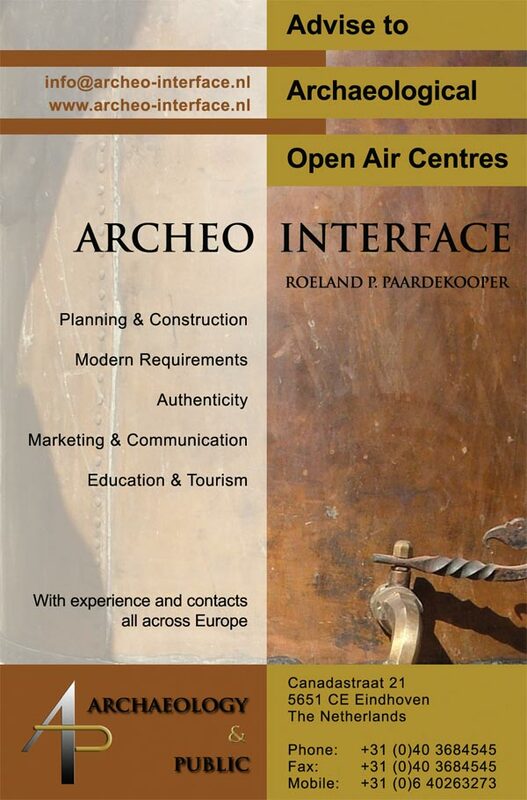 2007: Advertisement "Archeo Interface" for EuroREA 2007. We prepared this advertisement or the Journal of EXARC, euroREA. The size is 89 x 135 mm, printed in euroREA (circulation of 1.000). See Images for this and other advertisements made by Mohini Visions for EuroREA in 2007. 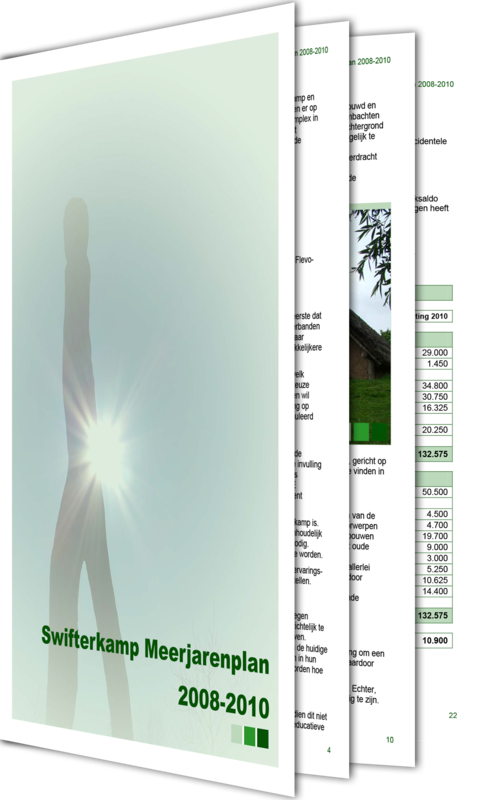 2007 - 2008: This bilingual website counted at the beginning (in 2007) 10 pages in every language and is the presentation of a small company which advises in archaeology. All illustrations were already digitally available; texts were produced on the spot. We used Adobe Fireworks for the first time, especially for the button sets. In 2008 we redesigned it and changed into Drupal, when different modules needed to be applied and made fit. This project took almost a year to conclude due to the extended amount of modules and unusual lay out. The database linked literature references with museums, photos, a glossary and articles. The client managed the content by himself and continuously expanded it.